What vegetables do you hide in bolognaise or slow-cooked meals? Do you go for the same ones each time? 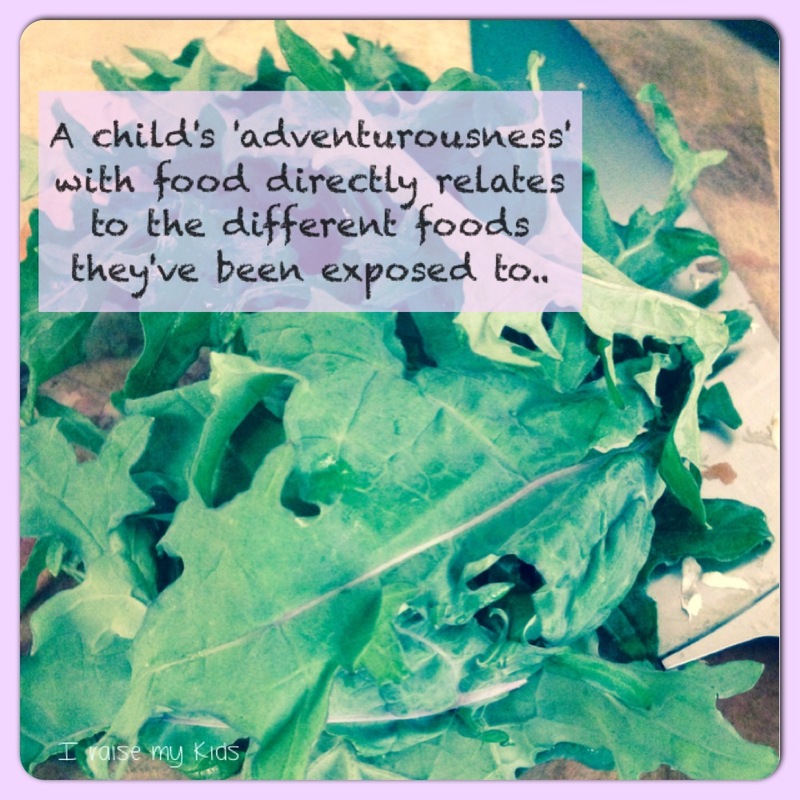 Do you leave some slightly chopped (eg carrot, mushroom) so your children will just notice them or do you whizz them all? Along with zucchini, carrot and mushroom, I have also included some grated beetroot (yes they notice the colour but the flavour isn’t dramatically affected), brussel sprouts and even kale. Will you buy a bunch at your next shop to try? Or get some brussel sprouts to finely slice? Do you dread the winter germs? Are your children constantly sick? Do you put it down to ‘it’s good for their immune system’? Have you ever wondered why some children get sick far less often or present with much milder symptoms? What if a strong immunity wasn’t just about exposure to germs? These are many of the questions I have asked since I was little. Why do I always get sore throats? No one else does. In my twenties, people were still saying, ‘oh you’re working with children, it’ll build up your immunity’. But through many periods I suffered with sore throats more than I was well. Mum gave me cod liver oil and Echinacea until I’d almost rather put up with the sore throat. I never continued with these supplements, as they didn’t really work. Enter my first born son! Master now 4, from the start, presented with many symptoms that made me sit up and look at his health. 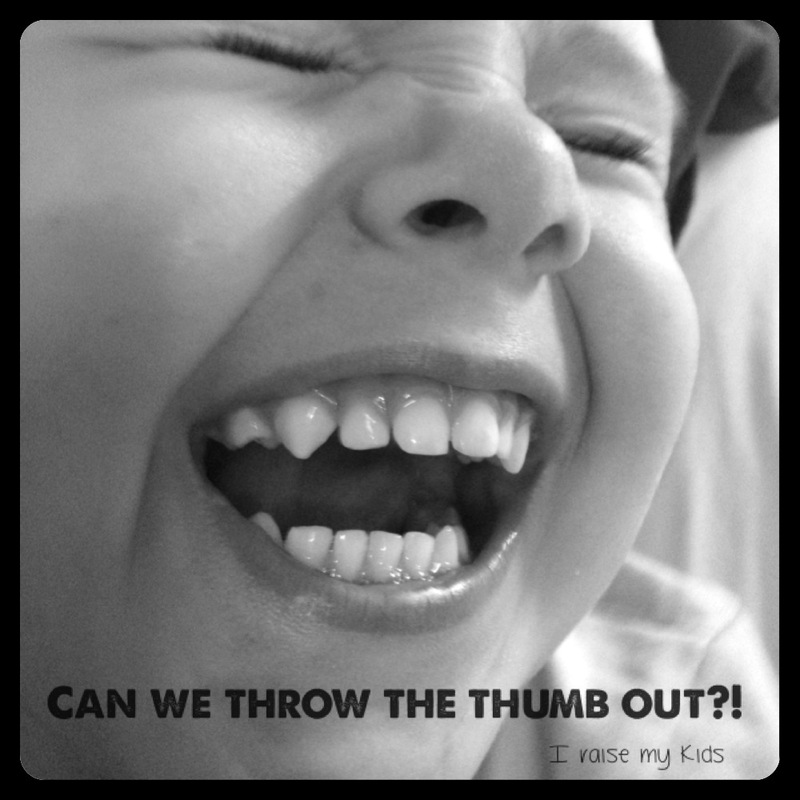 The eczema, the ‘ADHD’ behaviour, the redness to his cheeks, the inability to sleep… I started to look into it. And one answer has kept coming up – THE GUT. gut health is a HOT topic in scientific research and is being linked to all types of diseases, allergies and cancer, not to mention annoying symptoms such as skin issues, constipation/diarrhoea, blocked sinuses, headaches, fatigue, the list goes on and on. this literally explains (in fine scientific detail of how the gut functions) how food is medicine. Give your intestines the right foods and your intestines will keep you healthy. our intestines contain more immune cells than the entire rest of our body, so good gut health is related to a stronger immunity. an intact gut lining (which is only one cell thick and thus easy to disturb) and gut flora (the right balance of the ‘good bacteria’) determine gut health. certain foods and other ‘nasty things’ break down the gut lining, resulting in ‘leaky gut’. Take a look at this article, Leaky Gut Syndrome – in Plain English to see how it happens and find out how your symptoms might be related to it. You will be quite amazed! many people have leaky gut, without realising it. This goes for children too. the state of the mother’s ‘gut flora’ (the bacteria living in her intestines) is passed onto the baby in utero. This explains my mother’s migraines, my sister’s eczema/allergies and my low immunity, sore throats and fatigue, let alone my boys’ food intolerances and associated symptoms. the presence of probiotics in the intestines, prevents unwanted bacteria from growing there. Whilst we can survive with minimal gut flora, our body will present with many undesired symptoms, let alone inflammation which leads to disease and cancer. we do need to reconsider our love of completely germ- and dirt-free, antibacterial soaps, chlorinated water and each use of antibiotics. This is all stripping away the bad bacteria but also the good ones. our gut is now becoming accepted as our ‘second brain’ with up to 100 million neurons (as many as in our spinal cord), about 40 million neurotransmitters (as many as we have in the brain) and 95% of the body’s serotonin is found in the gut. our gut plays a major role in mood, appetite and sleep. So how to get on top of a leaky gut? Firstly, find what is irritating your children’s intestines. We use kinesiology which is quick, pain-free and easy to test many different foods straight up. For my boys and I, gluten is the main one, along with soy, dairy, most corn products, food additives, sugar and yeast. That’s how ‘not flash’ the state of our guts were! Eliminate all culprits as soon as you can. This is MUCH easier said than done and is the inspiration for my new business, coming forth in the near future. I hope to help parents transform their pantry, menus and children’s tastes, so they can make the switch as easily as possible, and discover better health. Whilst quick elimination would get you quick results, often times it’s ‘slow and steady wins the race’. Be proactive in healing the gut. There are several foods that are wonderful for healing the gut lining. Turmeric is a great spice to heal the gut and reduce inflammation. Homemade chicken broth is also a fantastic healer due to the gelatin it contains, but also it’s ability to reduce inflammation. Even slow-cooked zucchini and squash help to heal. Remember that stress and emotions also play a role in gut health. That goes for children too. Master4 is not only physically sensitive but also emotionally sensitive. We have literally seen stress manifest physically for him and have now learnt to work on this before looking at external factors. And how to build up an army of probiotics? Stop removing the ‘good guys’ by throwing out any ‘antibacterial’ product and using just good old soap. Don’t be so quick to wash dirt off little hands or even organic fruit and veges for that matter, as good bacteria are supposed to be ingested in ‘natural ways’. It’s the lack of good bacteria in our systems that’s making us sick, not so much the germs we come across. Look at a good probiotic. We used Inner Health Plus probiotic powder for a few years but this was sending us broke. I finally learnt how to ferment, which brings cheaper and better probiotics, which unlike bought probiotics, are more likely to actually colonise your child’s intestines and stick around. Kombucha (fermented tea) is an easy to make, cheap and wonderful way of not only bringing good bacteria to your children’s guts but it is also a delicious, fizzy drink. 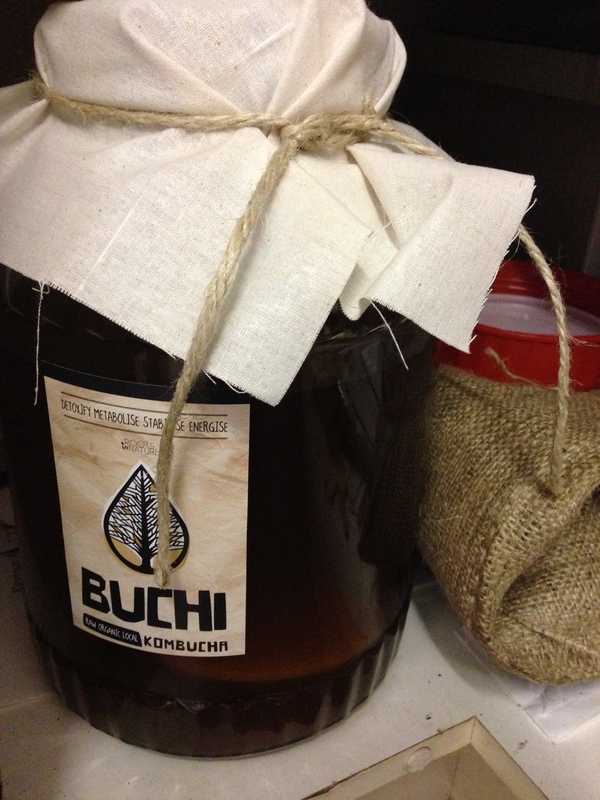 5L of kombucha tea, teeming with living probiotics, you can literally see them!!! Rethink commercially produced yoghurt as a good source of probiotics. Most of the time it has more sugar or artificial sweetener than it’s worth for the few probiotics you’ll find left in it. The hormones and antibiotics from the dairy also defeats the purpose, not to mention it’s pasteurized, destroying many of the enzymes and nutrients that might have been. 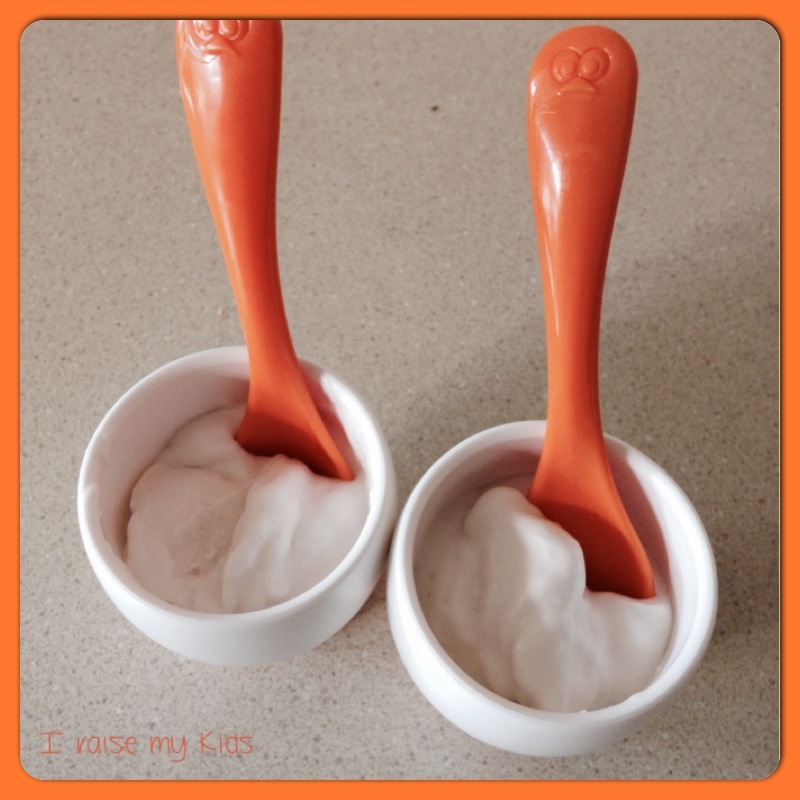 Coconut yoghurt is easy to make and has far less additives than dairy yoghurt (assuming you use canned coconut milk and not fresh coconut, which would have no additives!) and avoids all of the issues listed above. Otherwise look for yoghurts that are processed as little as possible, with as few ingredients as possible. If you can fathom making fermented vegetables and enticing your children, this would be another great source of the ‘good guys’. My next project in the making! Remember, slow and steady wins the race. And after you have done all of this for your children, like me, you might actually realise that your intestines have been screaming out for some love too. Go with your gut and if you crave it, provide it with foods that heal the lining and probiotics that assist in proper digestion and fighting off unwanted germs. * To be continued – with more information on how to make some of the super-gut-foods listed above as well as how to change your pantry towards better gut health. But please don’t wait for me if you feel the need to start looking into this yourself! Last week the parenting gods battered me (I’m sure I’m not the only one! )… But how do you take care of yourself, like ‘they’ tell you to, when you just don’t have the time? On this day I didn’t even have the time to get to yoga, so I found a quicker way to give myself love. 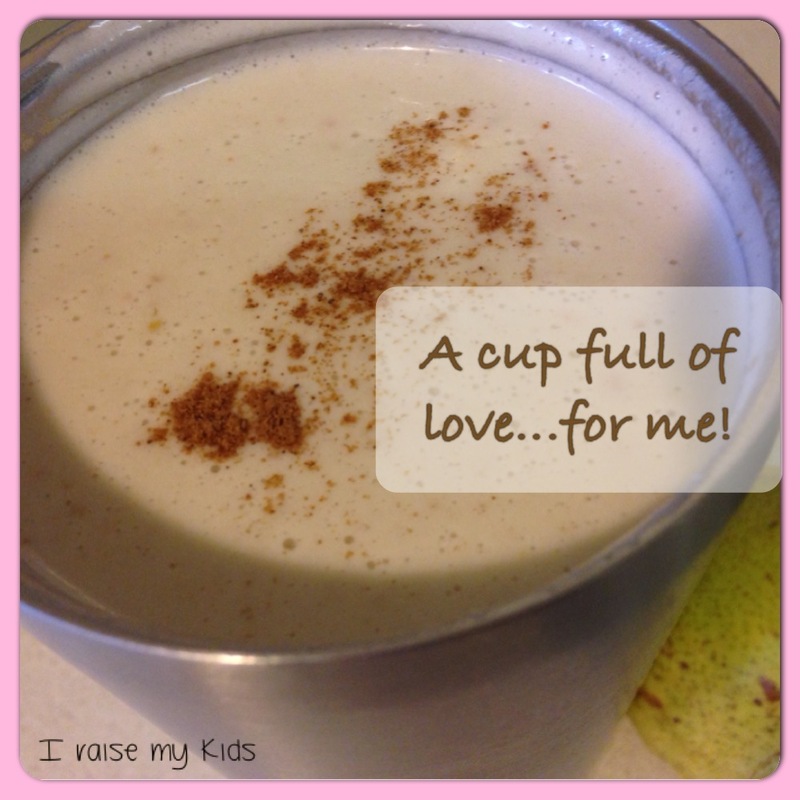 I came across this tahini/date/pear smoothie (thanks Janella Purcell). Whilst I don’t feel the need for ’emotional eating’, I figured this would be a nutritious and filling snack AND would give me an opportunity to be mindful, taking the time to make myself something I wouldn’t normally, along with the cinnamon sprinkle on top! I didn’t even multitask. By slowing down to make this smoothie, knowing it wouldn’t take THAT long out of my day, I’ve given myself a little bit back. Cinnamon and a warm drink didn’t go astray either. I’d love to know the small things you do for yourself as a parent, even when you don’t have the time! For us as adults, we have learnt to recognize hunger and act on it. But this doesn’t come automatically to young children and thus they may display all types of behaviours due to their ‘uncomfortable feeling’ and the brain’s need for fuel.We liken it to recharging the car with petrol to ‘go’. And when I can sense hunger, I am very quick to get food out before blood sugar levels drop any lower. And knowing how I can’t make choices when I’m hungry, I don’t bother offering a choice for the kids, but grab something they will surely eat! Do you take note of your child’s hunger and explain this to them?